The Twisted Single Crochet stitch has the same look as the Reverse Single Crochet/Crab Stitch. But, you can keep working in the usual direction. 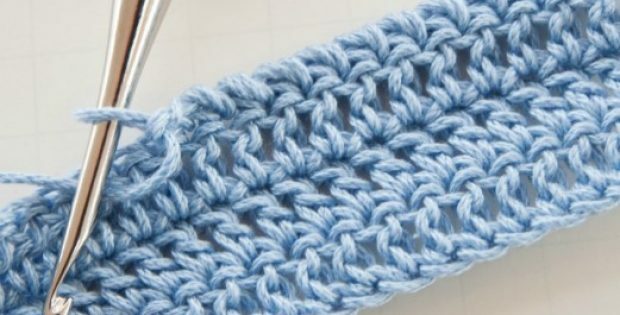 This crocheting project, a beginner crocheter will have a great time in improving their crocheting skill. Tamara Kelly created the pattern for this simple twisted single stitch that you can use for many crochet project. She even shared a tip; if it’s looking a little odd at first, make a few more twisted sc, and then give your fabric a quick gentle tug – that seems to pull the stitches right into place! Access the FREE pattern for this lovely and easy to follow twisted stitch video from her website and start crocheting today. To access the FREE crocheted pattern for this twisted single stitch, please click here: Twisted Single Stitch Pattern. Watch one of these great video tutorials from Tamara and learn how to make twisted single stitch! Featured image: Moogley – thank you!